Suffice to say: Spoilers ahead! If I may be allowed to make a terrible analogy, Ant-Man And The Wasp is a tugboat zipping in the wake of Avengers: Infinity War’s destroyer-ship – deftly leaping through and over the chaotic waves caused by a superhero movie a hundred times bigger than itself. It’s not a great analogy as it’s not entirely accurate. Ant-Man largely ignores everything that happens in Infinity War. In the build-up to its release the Marvel nerds made the assumption that the plot would take place before that of Infinity War’s, but the truth is the story plays out over only a day or so and if it takes place before A:IW it’s by a matter of days – the now expected mid-credits scene confirms this, but more about that later. Marvel’s stock-in-trade, certainly since Captain America: The Winter Soldier is to not make actual superhero films but to fuse those characters into wildly differing genres. The aforementioned Winter Soldier is a 70’s political thriller, The Guardians Of The Galaxy series is a full-on space adventure and Doctor Strange is a drug-fuelled surrealist fantasy. 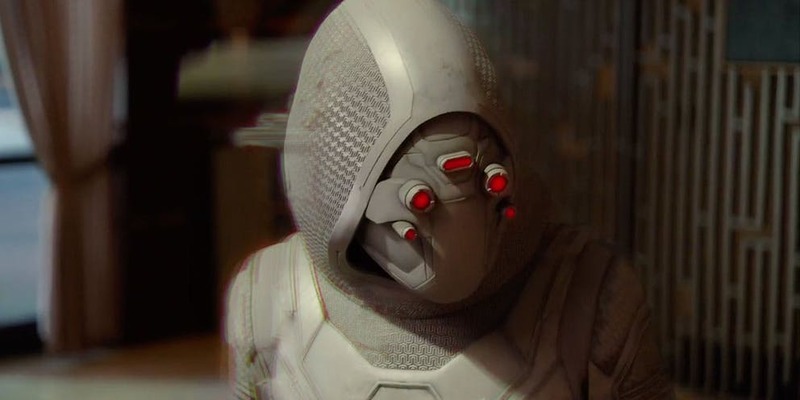 The world of Ant-Man, however, lends itself to a genre that is surely under-represented in modern cinema: the caper. It was true in the first Ant-Man, and it’s certainly true in its sequel. The plot is driven most directly by the events of Captain America: Civil War – Scott Lang/Ant-Man (Paul Rudd, he who has seemingly weaponised charm) is under house arrest and days away from being a free man. 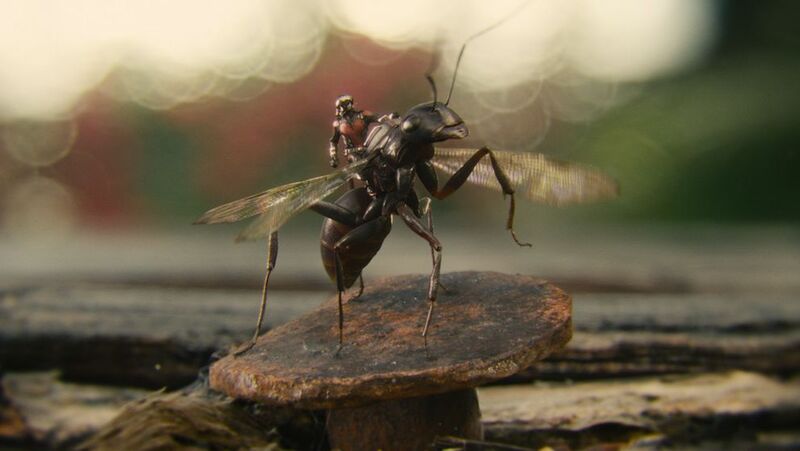 His actions in Civil War (he “borrowed” the Ant-Man suit and literally destroyed a large German airport as Giant-Man) have made Hank Pym (Michael Douglas) and his daughter Hope Van Dyne/The Wasp (Evangeline Lilly) fugitives as the US Government is now aware of their shrinking tech, which hasn’t exactly endeared them to Scott. 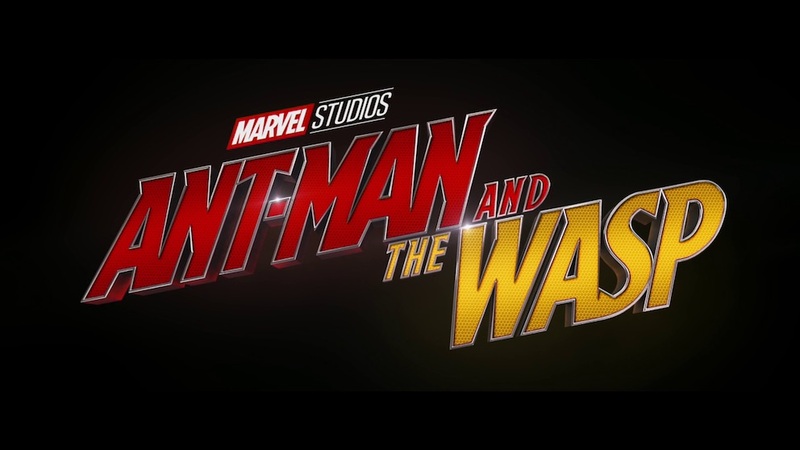 Throw into the mix a malfunctioning Ant-Man suit, a mysterious new villain, Ghost (Hannah John-Kamen), and a black market dealer trying to steal the Pym technology, and the revelation that Janet Van Dyne (Michelle Pfeiffer), Hope’s mother and Hank’s wife, is alive and well in the Quantum Realm and the stage is set for many hijinks. Fun is an overused word, and possibly not quite the one I’d use here if I was smarter, but it cuts to the meat of what makes Ant-Man so entertaining. It’s funny, light-hearted and endearing. And you know what? Timed to be released in a post-Infinity War world, Ant-Man is exactly what Marvel fans needed: a chance to be in the Marvel Cinematic Universe for another adventure but without the world needing to be saved from some cosmic entity. In the end, it’s about the strong bonds of family by rescuing Janet and, at least in the eyes of Hank and Hope, the redemption of Scott as he risks his own liberty by breaking his parole to help. If ever a film could be called a palette cleanser, Ant-Man And The Wasp is it. It will be interesting to re-visit it in later years, free from the context of Infinity War to see how that comparison stacks up, but for now, this is the feel-good action film we needed. Of course, it’s still part of the MCU so there’s a more than a small amount of connective tissue to the larger picture. The most devastating is the previously mentioned mid-credits scene. Scott is sent into the Quantum Realm to harvest quantum energy, aided by Hank, Janet and Hope when Infinity War’s ultimate moment intersects with this film. I won’t say much more, except to note that the film ends with Scott stuck in the Quantum Realm. It’s a shocker moment that we all saw coming but gave us all the feels anyway, which more than sums up how I feel about Ant-Man And The Wasp. As a stand-alone, light-hearted heist movie, I could think of worse ways to spend a cold New Zealand winter’s day.